Six years ago the saga of the Dragonborn in The Elder Scrolls V: Skyrim enthralled the entire gaming world, racking up awards left and right. The open world, the intense combat, and the bucketloads of quests and gear offered players young and old hundreds of hours of gameplay. 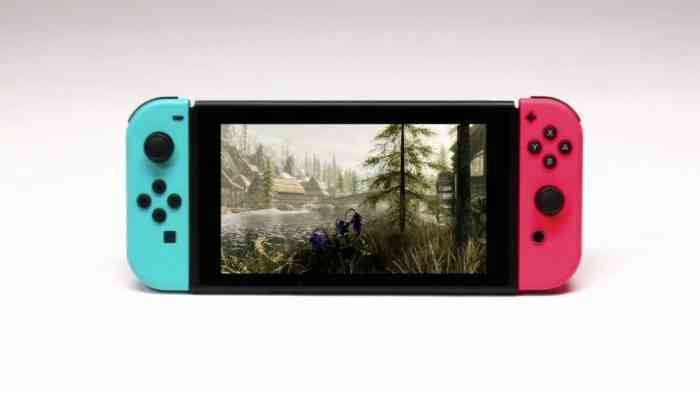 In what seems to be an attempt to bring Skyrim to every gaming device under the sun, Bethesda has adapted the full Dovahkiin experience to the Nintendo Switch, marking the first time this robust game is available on a portable console. Does this versatile version have the muster to stand up to its other console brethren? Abso-freakin-lutely. Do not let the host console cause any misleading: this is the entire Skyrim game loaded onto one of those miniscule cartridges, DLC expansions included. Every piece of gear (and some new ones), every questline, every character is completely intact just as I remembered them in previous playthroughs. There’s no drop in performance, there’s no drop in sound quality, and most amazingly the graphics hold up to other consoles on the market at the moment. Skyrim is still a beautiful game to behold six years after its original launch, only now I can play it wherever I wish. You may have noticed I didn’t say “there’s no drop in graphical quality” just then, and that’s because the Switch’s TV Mode does bring out a few small drops in graphical detail. I’ve noticed some weirdness mostly in the faces of non-playable characters, facial expressions specifically not being as expressive as other versions. However, switching to Handheld or Tabletop hides those issues very well, I had trouble finding them on that smaller screen. I also noticed a few glitches in the backgrounds as I played, including some NPCs spawning sideways before automatically fixing themselves. These are very nitpicky details, the glitches I mentioned have been happening since the game’s initial 2011 launch. Someone with a less keen eye might not even notice, but the drop in visuals is there and should be mentioned. Handheld is easily my favorite way to play Skyrim on Switch, bringing this massive adventure with me wherever I go. The game’s JoyCon controls are mapped perfectly, with attacks on the ZL and ZR buttons, Shouts on R, and the two joysticks used to move and look around. There was only one button I had to get used to, the B button accessing the in-game menu, as I unintentionally opened that menu in the heat of battle more times than I can count. 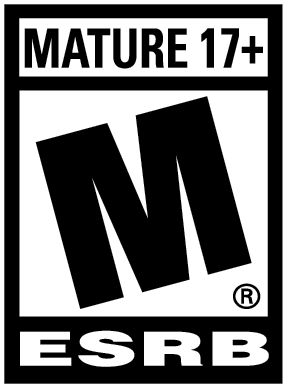 Otherwise, the game handles as naturally as it ever did on a previous console’s controller, making the learning curve nonexistent. As much praise as I heap on this portable port of a classic game, I must be honest about one thing: this is still the same game it was in 2011. The story is the same, the characters are the same, the quests are the same. There are no extra quest lines to follow, no new quests to set out on, and no new faces to meet out on the road. That’s all well and good for newcomers to the Elder Scrolls franchise (like me), but for Skyrim‘s greatest superstars the only major perk is being able to play it in the bathroom. 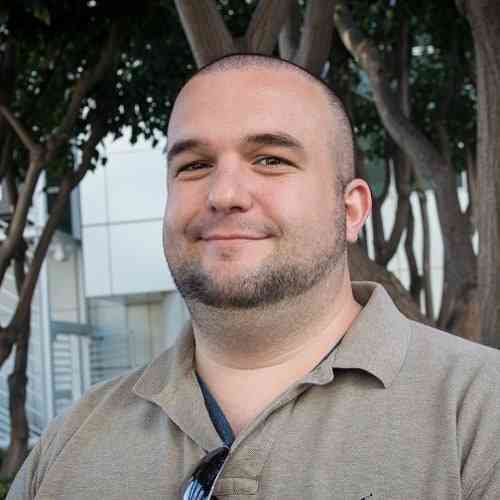 I can understand that point being disappointing to the established Elder Scrolls fanbase. There’s not a whole lot else I can say about the Nintendo Switch port of The Elder Scrolls V: Skyrim. 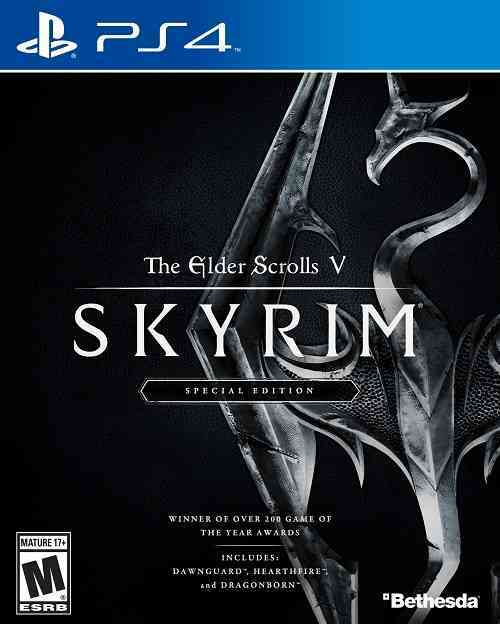 It’s a worthy addition to the Skyrim set, maintaining everything that made Skyrim so popular. The portability of the Switch is easily Skyrim‘s biggest draw, allowing me to battle dragons and shout Thu’ums at my enemies everywhere from the traffic jam on the way home from work to laying in bed before I fall asleep. Otherwise, it’s the same old Skyrim being driven in a brand new vehicle, making me wish that perhaps a few new things outside of amiibo offerings could have made the adventure feel even bigger. 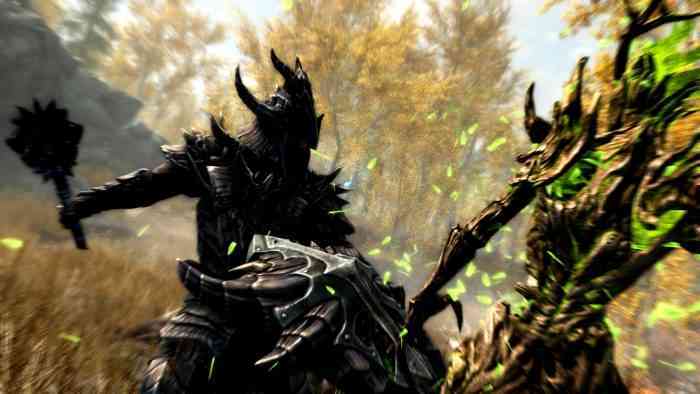 Then again, this is Skyrim we’re talking about here, and this version will make any Elder Scrolls aficionados very happy. Not one utterance of the “arrow in the knee” line…what gives?